We are proud to announce our sponsorship of the Rosetta Stone - Translation. Mutation. Art. exhibition presented by the Jeaner Kunstverein (Jena Art Society) in Jena Germany on June 26th 2009. This exhibition is based on an experimental workshop addressing the question of communication in art. Think of it as a game of Telephone communicated amongst the artists through their artwork. 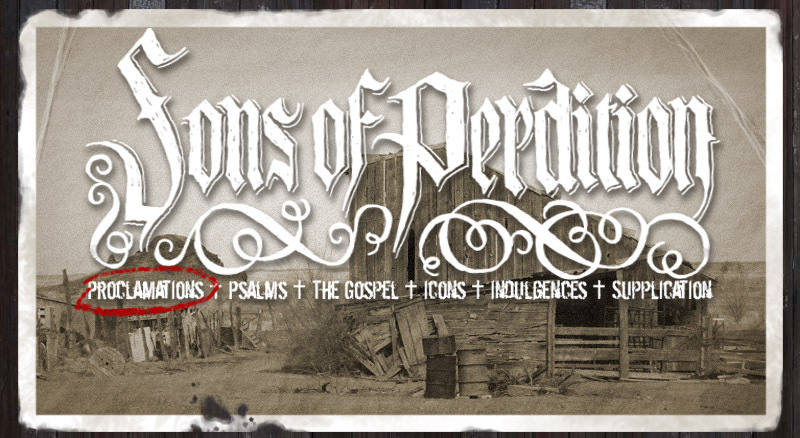 Among the artists involved in the art exhibition is our very own Zebulon Whatley of Sons of Perdition . Other artists taking part include: Christoph Mueller , Tinsel Edwards , Agnieszka Ledochowska and Henry Woller. Musical support will be provided by the unsavory Cowboy Bob and Trailer Trash . It is also rumored that old Zeb might get drunk in the Holy Spirit and sing a few songs off his new album. Make sure to stop by if you can for a night of art, music and alcoholic beverages.